What is the first thing you want to do on a girl’s getaway? Hit the beach or hit the ground running? Whether you jam-pack your itinerary with activities from dawn ‘til dusk or prefer to do absolutely nothing, Puerto Rico is a great destination. 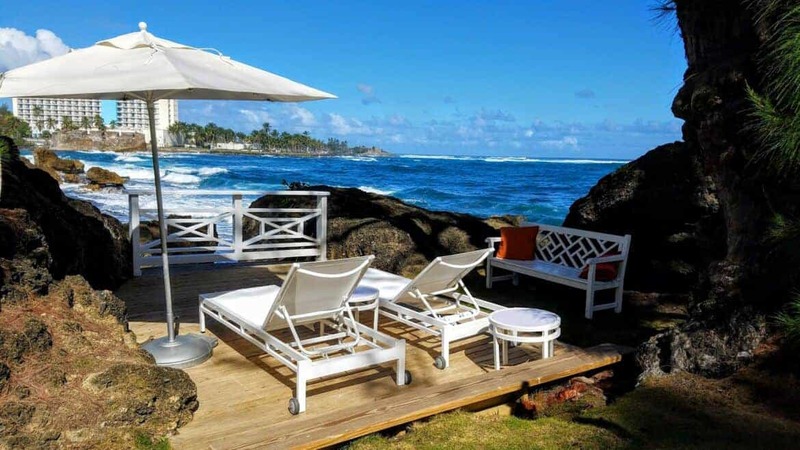 At the Condado Plaza Hilton in San Juan, you have the best of both worlds. Its unique location and dedication to guests lets you create the perfect vacation no matter what you want to do. Just a few miles from the Condado Plaza Hilton is the historic center of Old San Juan, Puerto Rico. Within its 74 block radius, most of the oldest post-contact buildings in the United States can be found. 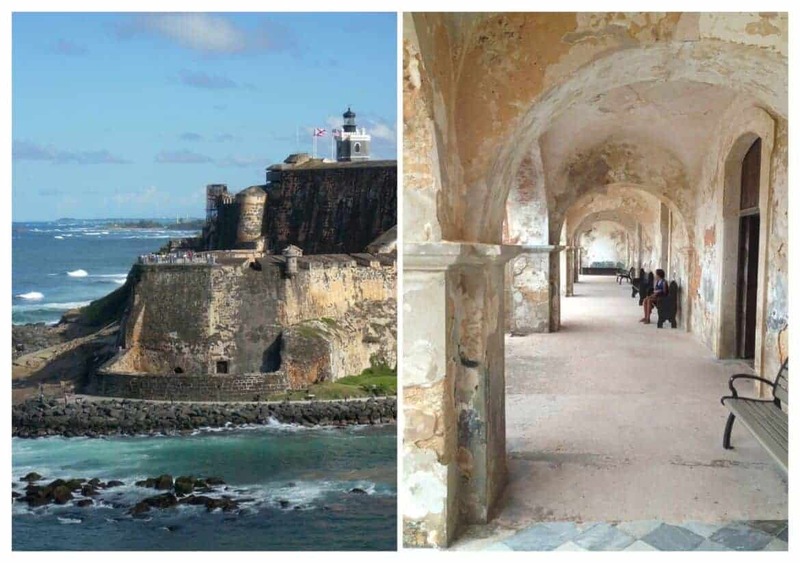 Tour one of the many fortresses that once protected the island and gaze at the colonial architecture of the historic buildings. The home of Ponce de Leon is available for tours as well as many of the other buildings. There are art galleries and plenty of shopping especially if you are looking for souvenirs to take home. In the evenings, try some of the delectable Caribbean cuisine and go out for a little salsa dancing afterwards. If you want to see more of the area’s history, there are special night tours available to explore the buildings and hear about the stories behind them. If you aren’t up for a day of sightseeing, then enjoy one of the four pools at the Condado Plaza Hilton. There is a even a salt water pool which is the only one in Puerto Rico. This is one destination where you won’t need a vacation from your vacation. There’s no shame in sitting by one of the pools, soaking up the sunshine and having your food and drinks served to you poolside. Sounds perfect, right? 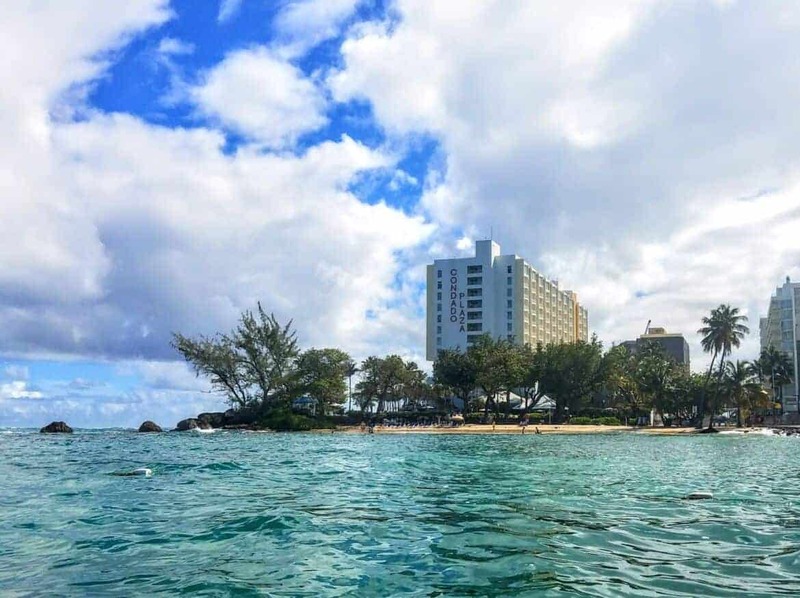 The Condado Plaza Hilton has views and access to both the Atlantic Ocean and the Condado lagoon – which means there are plenty of daily activities to keep you busy. Guests can rent kayaks, paddle boards, and snorkeling gear for a day full of fun and exploring in the turquoise waves of Puerto Rico. Since the lagoon also has a family of manatees living there, there are no motorized sports or boating allowed which pretty much guarantees a peaceful experience. Be sure to keep an eye out and you might just catch a glimpse of them while you are out and about. If a day of activity might be a little too much…well, activity, you can always limit your decisions to moving from the beach on the Atlantic to the beach on the lagoon to do some more relaxing on the sandy shores. When you need a rest from all of that lounging, take a nap in one of the many hammocks available along the shore with the calming sounds of the waves crashing against the rocks to lull you to sleep. If you feel like you have a little energy and want to do something fun, try the water slide (it’s faster than you think!) or the oversized chess and checkers games on the lawn. The giant boards are located right next to the hammocks so you don’t even have to walk very far. There are also brand new pool tables in the lobby if you want to hang out in the air conditioning and shoot a game or two. The Pikayo is where you want to go for a night of fine dining. Its inviting ambiance is accompanied by the some of the best food selections in San Juan. There are dishes that capture the heart and soul of Caribbean cuisine and a wide variety of perfectly amazing choices from pork to octopus. If you’re a wine connoisseur, Wilbert, the friendly and knowledgable house sommelier, offers excellent pairings. His recommendations were spot on and always delivered with a smile. If you crave Asian cuisine, try the Eight Noodle Bar which serves both Chinese and Japanese dishes and some really tasty sushi selections. And while there isn’t a traditional room service option, you can call down and place an order to go as late at 11pm. <– this could be the anti-hangover solution all girlfriend getaways need! Cafe Caribe offers casual all day dining options with a large selection of American breakfast items with a Caribbean twist, like Lobster Eggs Benedict. If you’ve been dying to try a local staple, they offer a delicious Shrimp Mofongo at lunch and dinner that will leave you wanting to try the many other varieties available on the island. The Aqua Bar and Grille has food for you poolside which means you don’t even need to get up from your pool chair to eat. If you like the fruity sort of frozen beverage, be sure to try the house special cocktail, the Caribbean Lover – we couldn’t get enough of these! There is also the Eternal Bar and Moon Bar where you can sip specialty cocktails or the Ashford Lounge which specifically showcases any major sporting events so you can lounge and watch the big game. Plus, it’s as if they *knew* we’d want to dance the night away at the local al fresco bars down the street and would come back starving. After all, an evening of unabashed girlfriend shenanigans almost always ends in the munchies and needing that comfort food fix ASAP and luckily, there is a 24 hour Denny’s on site. If exercise is a must in your daily routine, enjoy the amazing fitness center, sauna, steam room, and lap pool to get your daily workout and more. 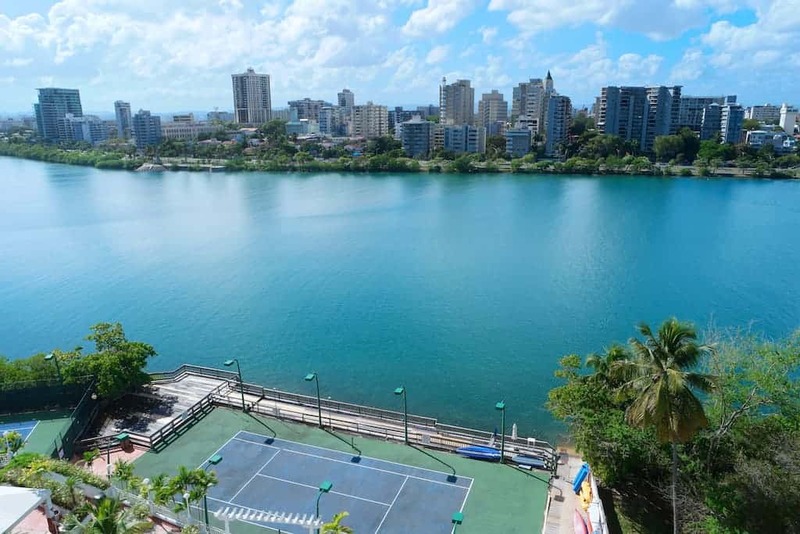 Or maybe have a friendly game of tennis on the courts next to the lagoon? 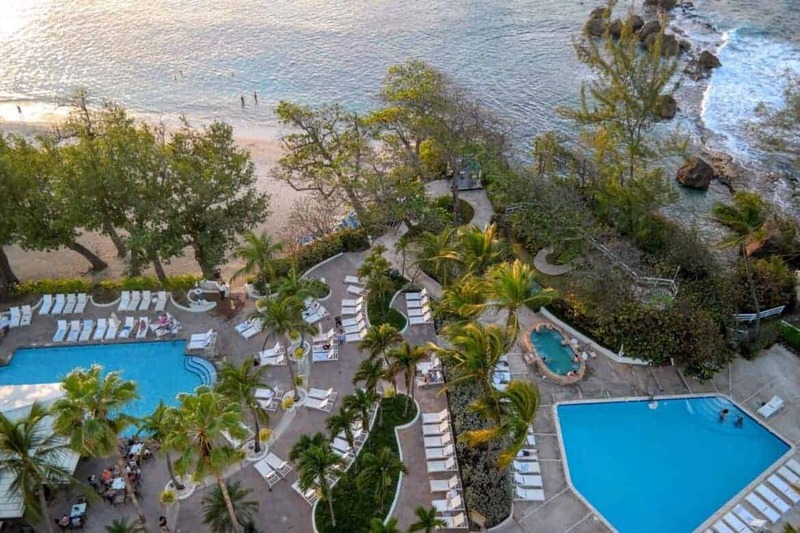 And if you’d rather just have someone set up your fun for you, all you have to do is check the daily schedule next to the pool to see if you can take advantage of a yoga class or a fun group activity. If working out is the very last thing on your mind, you can always rent the VIP lounge next to the Atlantic for some added luxury and pampering. It’s an exclusive tucked away spot that would make anyone feel like royalty. Speaking of pampering, you can book a reasonably priced ocean side massage to work on those muscles – which are probably sore from all of that relaxation. All in all, we found the Condado Plaza Hilton to have beautiful, modern accommodations and just about anything you need to plan your dream girl’s getaway vacation. The location can’t be beat and they have some of the most attentive staff we’ve ever experienced. Our stay was hosted. All opinions are our own. I have been there a few times, but just with a cruise. I would love to explore the whole island! It looks like SUCH a beautiful place!